Ho Ho Ho, Happy Christmas Gifting in Dubai! For the ladies: While it may seem difficult to find the perfect gift for the special ladies in your life, a few options can be an eGift card from Swarovski. It is the ideal gift to make her look sparkling and elegant this season! If you think your loved one needs a break this Christmas season to relax and unwind, then give them an online voucher from Zen Yoga . This center offers yoga and meditation classes that are a guaranteed relaxation method. For the men: They need gifts too and fortunately, we have a few good ideas. You can select an online gift card from the Jazz Lounge Spa where they can simply getaway, unravel and be in a stress-free environment. 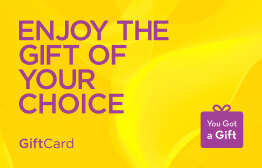 Alternatively, you may choose the satisfy the sports enthusiast man in your life by gifting him a Go Sport eGift card. With this card, they can buy the best quality sporting goods and equipment, at a reasonable price. For the little kids: Christmas time is most important for the kids as they wait for Santa to put their gifts under the Christmas tree. Santa, here are some ideas for you: A Build A Bear eGift card for the little munchkins to make their own teddy bear or, a Magic Planet gift card so they can play the games and win great prizes. The kids will love these gifts and the many other options we have for them on our website. With these Christmas Gifts in Dubai, this holiday is truly made special! These are only some ideas that are available on YouGotaGift.com; there are many others that you can browse through. The best part? It’s that we make shopping so easy. All it takes is three clicks: one when you choose the gift voucher and enter the amount, one when you want to personalize the gift for the special someone and a final one to send it. We also have an option if you truly don’t know what you can get and that’s the YouGotaGift.com gift card. With this card, gift receivers can choose whichever brand they want from our options and choose the items they really love. 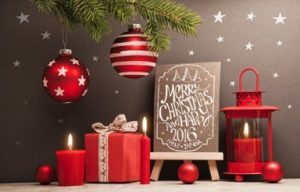 So, relax this Christmas season, ladies and gentlemen, because we have got you covered when it comes to Christmas Gifts Dubai-dwellers will love! Always remember though: the best Christmas gift is having the entire family all wrapped up in each other. 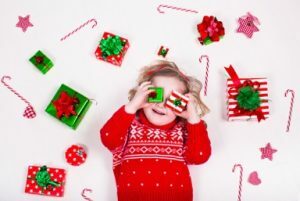 Merry Christmas to all from everyone at YouGotaGift.com! This entry was posted in Christmas Gifts, YouGotaGift.com and tagged christmas gift ideas, Christmas Gifts, christmas gifts in dubai on November 9, 2016 by Maria Najjar. Very interesting unusual gift ideas. I was really worried about what to choose this year for the loved ones. This Christmas will not be boring anymore.